When you enhance events with TapSnap, the possibilities are unlimited. 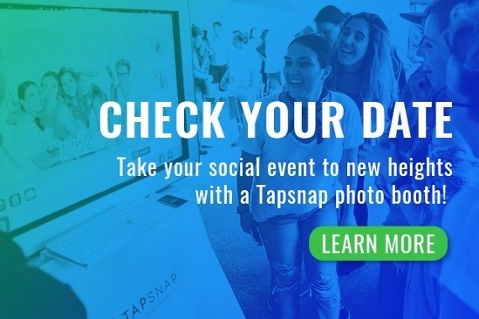 TapSnap is impressively interactive and customizable, allowing guests to take part in events both on and off-site. To leverage social media and maximize the reach of TapSnap, we’ve created a live stream, social media application called SnapCast. With SnapCast, guests can post pictures and tweet using a unique event hashtag, which is displayed real-time on TV and projection screens to create captivating displays around the venue. The live stream of each event is broadcast to the world using an event-specific URL. This ensures that everyone can follow the event live, even if they cannot make it. The endless reach across a variety of digital platforms helps create positive brand associations among diverse audiences. Plus, the conversation continues even after the party is over. All photos include up to two logos to assure that the relevant brand is visible for every like, retweet, and share. Franchisees can also gather guests’ opt-in email addresses for future marketing and client lists. All of these branding options provide our franchisees the opportunity to create lasting relationships, build new audiences, and enhance more events with TapSnap.